The narrative is a very important part of a novel for obvious reasons. If there were no narrative, it would be like a script for a play or movie. But what happens in the narrative is mostly a description of the action, the setting, the people, and also their thoughts. It’s the thoughts that I find difficult to create a good balance. As I’ve been reading novels, I’ve noticed different writing styles when it comes to the narrative, word choice, and so on. I finished a book by Peter F. Hamilton and started one by Terry Brooks. The style difference is so vast that it’s easy to see what they do differently. I find that Hamilton is very wordy when it comes to technical descriptions. He uses a lot of complex language that could go over the heads of some readers. He does a good job with characters’ thoughts, as well. I find he meshes the thoughts with the narrative very well. Terry Brooks, on the other hand, uses the narrative to talk about the characters’ thoughts and feelings the majority of the time. It feels like he tells a lot more than other authors. I’ve always been told to show, not tell. He tells a lot about what happened in the previous book, if it’s a trilogy, and he tells about the character’s background and what they’d done in the past. It’s not that it’s bad, he seems to make it easy to read and understand. However, he’s been criticised in the past for his writing style. But I cannot deny that his characters are likable and sympathetic. I actually really like his characters and have been a fan of his for quite some time. While reading his books, I’ve noticed that he shares the thoughts of the characters a lot. You know what they’re thinking all the time. While Hamilton jumps from character to character in a single scene, betraying their thoughts and feelings to the reader, Brooks tends to focus on on only a handful of characters’ thoughts. I know what everyone’s thinking in Hamilton’s books. There’s no mystery in that. But Brooks’ books are more selective, and I don’t always know what others are thinking. When it comes to my own writing, I prefer to stick with one character in each scene. I don’t want to use the third person omniscient point of view. I want to get into one character’s head, not everyone’s. But that’s just my style. 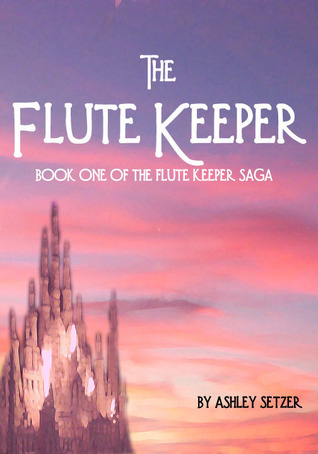 The Flute Keeper by Ashley Setzer is the first book in the ongoing The Flute Keeper Saga. It’s a fantasy novel set in the Fay Kingdom on a parallel world to our Earth. Uh-oh. Parallel world. It seems I read a lot of these recently when it comes to new authors and fantasy books. It seems to be a very common theme, especially with young adult books where the main character is a teenager from our world who magically gets transported to another world that’s filled with magic and monsters. Well, this is no different in that aspect. However, as much as I worry when I start reading these books, I was pleasantly surprised. Emma Wren is a teenage girl with a smart mouth and an attitude who goes searching for her father who was kidnapped by some magic-using evil man from another world. She gets transported to the world of the Fay and soon realises that she’s entering a dangerous situation involving the Fay and the Slaugh (just how do you pronounce that?). While she’s gone there to search for her dad, she discovers her connection with this world. Emma is a refreshing character that shows a good amount of development, although she does lack some self-control and gets herself into trouble. She meets a couple antagonistic characters that would be important to her quest to find her father, including Lev Hartwig, the young Slaugh who turns out to be not so bad, and the Fay princess Chloe, who is a stuck-up, spoiled princess (kind of stereotypical) who proves to be a likable character. I found that the majority of the good characters are very likable. 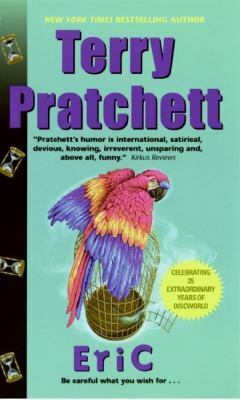 While there are some pretty dark themes that involve the deaths of some important people, the main characters keep it lighter and they provide a good deal of humour. Setzer used a good balance of humour and seriousness. The story is pretty straightforward without many surprises, but I feel that this is just a set up for the rest of the story. This is a good introduction to the world and some of the peoples. Emma just wants to find her father and it seems that everyone is trying to judge whether she’s telling the truth or should just be locked away. She has to learn who to trust and finds some good friends. While it’s not complex, the story is easy to read, and I always felt like I wanted to know what was going to happen next. That’s a good thing. The world of Faylinn is interesting. The main races are not human at all. The Fay and Slaugh are human-like, but have their differences. The Fay seem elf-like, which is unsurprising, because Fay can be another word for elf. I could clearly imagine how the world looked. Setzer did a good job with describing the world, and I’m interested in seeing more of it. I like exploring. With that said, I do want to read more. I want to see what the future has in store for Emma, Lev, and Chloe. I want to find out if there are more races and lands. 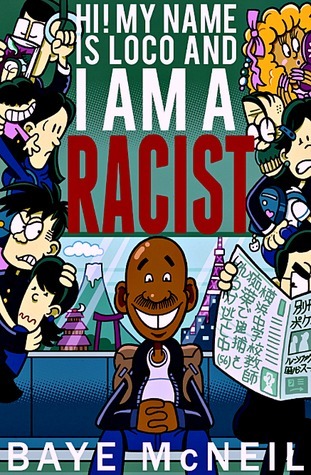 I really enjoyed reading this book. I would recommend it to fantasy fans who like a light read, as well as young adult readers. I’d give it 4 out of 5 stars. 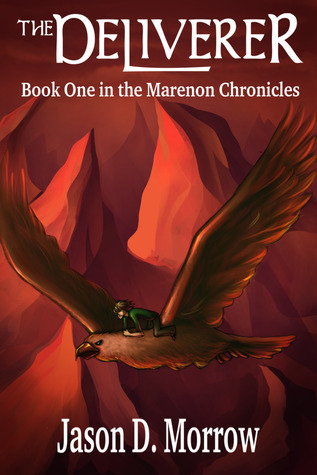 The Deliverer is the first book in The Marenon Chronicles by Jason D. Morrow. It’s a fantasy novel that follows the popular theme of a modern day teenager being transported to another world. Is that theme overdone? I’ve been reading a lot of those it seems. Well, this book starts out with Silas Ainsley and his grandfather Garland running from some bad guys, who turn out to be some of the main antagonists of the story. It all starts out with our hero being killed. It’s not often that a story starts with that, but it’s important in this case. He’s transported to a world called Marenon, where he searches for his grandfather, and in the process, gets involved with a group of mercenaries searching for something that turns out to be part of Silas’ destiny. This is a story about a kid who is the chosen one from a prophecy, and he must fulfill it. It sounds pretty stereotypical, but the world is pretty imaginative. I found the characters to be a varied group. Silas, the main character, is a fairly naive teenager with some great sword skills. He’d been trained by his grandfather without any explanation. I thought that not only was Silas naive, but he also made a lot of bad choices. He is far from being a perfect hero. He is flawed, which is good. However, I found his judgment to be a bit dimwitted. In my mind, I was screaming, “Why are you doing that?” Garland is actually a very important figure in Marenon, and seems to show some good intelligence and wisdom. Julian is a man who has deep pain related to his family history, which also proves to be very important in Marenon. The mercenaries are a good bunch with some decent development. There are other characters, but these are the ones that really matter, in my opinion. The development is good, though some of the characterisations I’m not too fond of, especially Silas. The story is fairly straightforward, and there aren’t so many surprises. Not everything is answered in this book, which is a good thing. It makes me want to read the next. I have questions I want answered. The biggest mystery to me is what happened to that other guy who went through the gauntlet with Silas. Maybe he appears in later parts? I have no idea, but I’d like to find out. The pacing of the story was slow to begin with, but picked up later on. It wasn’t completely consistent. The world of Marenon is pretty interesting, though I feel underdeveloped at this point. I’m interested in seeing more of the world. I like to see what created worlds are like in my mind, and this one felt pretty dark. I just didn’t really imagine there were bright sunny days, considering a lot of the action took place at night, or so it seemed. But this is the afterlife, so does it have its own sun? I just didn’t get the best sense of the environment, though it did feel moody. Did I enjoy it? Yes, I found it interesting. I liked the characters, but didn’t feel much attachment to them. I thought the idea was imaginative. The story is good, though not as strong as I’d hoped. The world needs more development, but I feel I’ll see more in future parts. Do I recommend it? Sure! I think anyone who likes young adult fantasy novels will enjoy this. Finally, I would give this a solid 3 out of 5 stars. Good read. Not amazing, but decent. I’ve tried this before, and succeeded. I’ve done a post a day for a month. Maybe I’m crazy, but I’m going to try it again. November is National Novel Writing Month, or NaNoWriMo. I’m not taking part in it, because I’m already involved in writing something, and it’s not a novel. However, I am substituting that with a post a day. It could be about my book progress, it could be a book review, it could be an interview. Mostly likely, it’ll be something completely different, but I hope to tie it in with the overall theme of this blog, which is books and knowledge. With the posts I have planned for the rest of this month, it should push my post count to 200! For my followers of Jay Dee in Japan, I haven’t done much there recently. I’ll be resuming posts there soon, though. I’ve just been a bit busy with some writing. Keep coming back before November 1st, though. 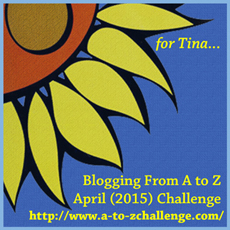 I have several posts to come, including several reviews and an interview. Nine years after the disastrous Discovery mission to Jupiter in 2001, a joint U.S.-Soviet expedition sets out to rendezvous with the derelict spacecraft–to search the memory banks of the mutinous computer HAL 9000 for clues to what went wrong…and what became of Commander Dave Bowman. 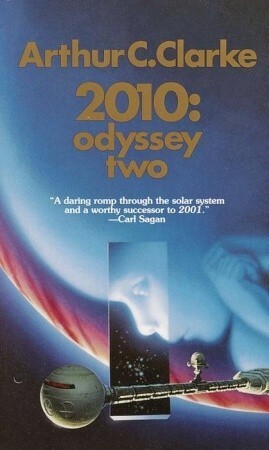 2010: Odyssey Two is the second book of the Space Odyssey series by Arthur C. Clarke. This science fiction novel is a sequel to the highly successful 2001: A Space Odyssey. I should make one note about this book. It’s not actually a direct sequel of the 2001 novel, as that involved Saturn. However, it’s a sequel of the movie, which went to Jupiter. This book involves Jupiter. This actually makes a lot of sense, because of the discoveries by the Voyager spacecraft at Jupiter. It’s a much better fit for what happens in this book. The cast of characters is quite different this time. Although it does go in search of HAL and what happened to Dave Bowman, they’re now on a Russian ship with most of the characters being Russian. The main character is Heywood Floyd, who is from the first book. He goes on the mission along with HAL’s creator Dr. Chandra and Walter Curnow. The Russians are dominated by the captain Tanya Orlova, assistant engineer Maxim Brailovsky, Vasili Orlov, and the doctor Katerina Rudenko. There are a fair number of characters other than them, but these stand out to me. I quite like Maxim and Walter’s interactions, giving it a bit of a light mood. Tanya is a strong character, but very likable. Dr. Chandra is a stereotypical unemotional, withdrawn computer genius who I just can’t connect with. Dr. Rudenko is a great character, and very likable. The main character, Dr. Floyd, is a very human character, though I wouldn’t have made the same choice as him to leave his family for this mission. Overall, the characters are nice, friendly people, but they’re not very deep. That’s one of my gripes about this book. I just couldn’t connect with anyone. The story is pretty straightforward, find Discovery and recover its data. What they find, though, is a mystery. And this mystery unfolds as the members of the Cosmonaut Alexei Leonov watch what happens, something I won’t spoil for anyone. But it’s a big change, that’s for sure. I found the story fairly understandable and easy to read. There are a lot of technical terms, but not too difficult for the average reader. It’s pretty scientifically accurate with the knowledge of the time. The only problem is that I felt distant, like I was watching it all from afar. I didn’t feel like I was part of the action. The story was interesting, but not engrossing. This book suffers from not living up to its predecessor. It was enjoyable and a quick read, but I felt a bit unsatisfied at the end. I am curious about what’s going to happen with Europa, although that is hinted at the end of the book. Would I recommend it? Mildly, yes. I give it 3 out of 5 stars. It’s readable, enjoyable, but not very engaging.